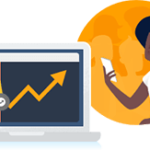 With Firebase Analytics Add on, you will get free app measurement solution that provides insight on app usage and user engagement. 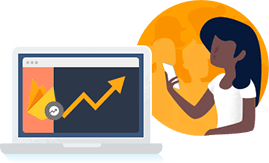 Firebase Analytics reports help you understand clearly how your users behave, which enables you to make informed decisions regarding app marketing. Firebase Analytics is the newest addition to Googles Analytics tools which is built primarily with Mobile Apps in mind. Google Analytics for Firebase provides free, unlimited reporting on up to 500 distinct events. Analytics surfaces data about user behavior in your Android and iOS apps, enabling you to make better decisions about your product and marketing optimization.